Abstract: When trying to get a high FSB (Front Side Bus) everything in the computer is your enemy. When trying to get a high FSB (Front Side Bus) everything in the computer is your enemy. The first few things we always suspect are the memory, motherboard and CPU. However, these may not be the only limiting factors! Today we're going to be looking at how Network Cards (NIC's) handle overclocking, and if they might be the thing that's holding you back from getting higher speeds. 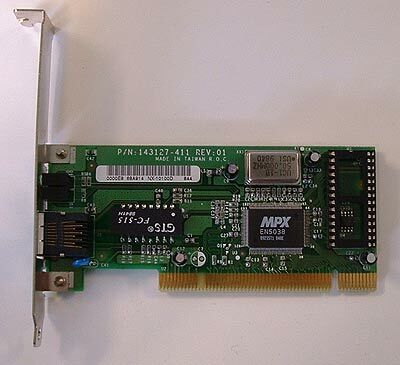 As you already know, every peripheral in the PCI slots of your computer is linked to the FSB, and when you're going past 133 MHz (with most boards) you're going to be running the PCI bus out of sync. This means the PCI cards will no longer running at their specified speeds - they willl be running faster then the are supposed to. The motherboard we'll be using to test these five NIC cards is the EPoX 8KHA+ (VIA KT266A) which has a 1/3 and 1/4 PCI divider. 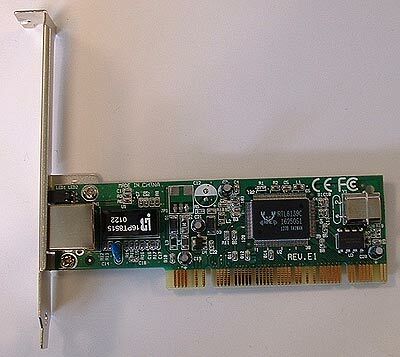 You divide the FSB using the divider to get the PCI speed, PCI natively runs at 33 MHz. These were all the NIC's I could gather up for the tests and special thanks goes out to Mike and Ben atPerfect Systems for lending us the 3Com 905CX. Why did I go out of the way to include the 3Com? 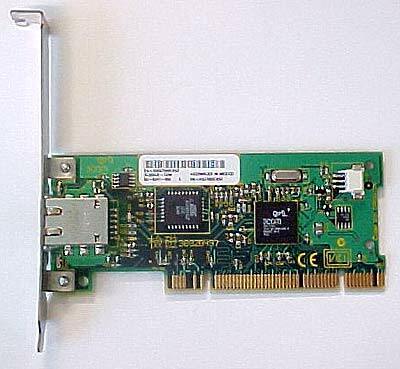 Well, 3Com are one of the largest well known Network card manufacturers in the world and this roundup wouldn't be complete without one! 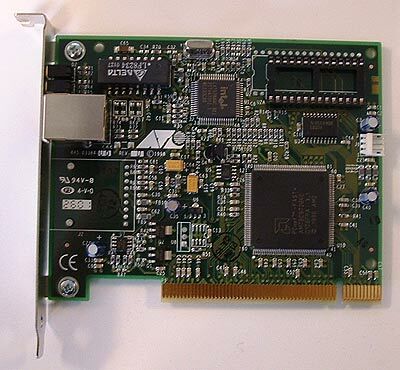 The Allied Telesyn AT-2700 10/100 was pulled out of our AthlonXP2000+ testbed. It's a example of quality, with WoL features and a boot ROM option, it's a very feature rich NIC. 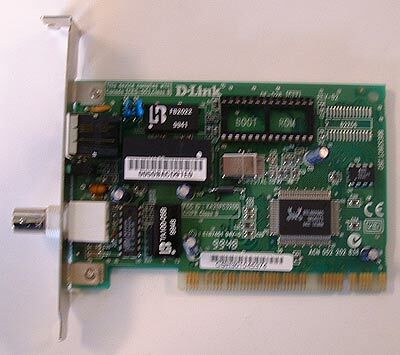 The D-Link DE-528 is the only 10Base card of the lot, however it does have it's worth, it's good for those older coaxial network connections since it is a combo card. Both the Accton EN5038 and Smartlink are cheap NIC's. They're prime examples of what you would get if you spend very little. No options at all, but they get the job done.